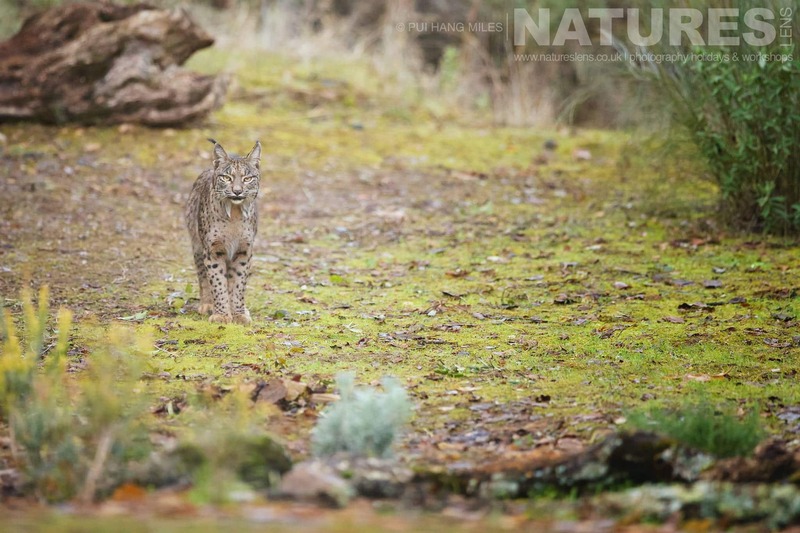 During December 2017, I was lucky enough to spend some time with the Wildcats, Eagles & Lynx of Spain; this was preparation for a trip that we were researching to add to our portfolio. Once again, I visited Spain in the hope of capturing some images of the elusive Iberian lynx. This wasn’t the first time that we have attempted to launch a photography trip focussed on these subjects. My initial attempt was back in January 2016, but unfortunately, it was unsuccessful for a variety of reasons, not least the lack of sightings. 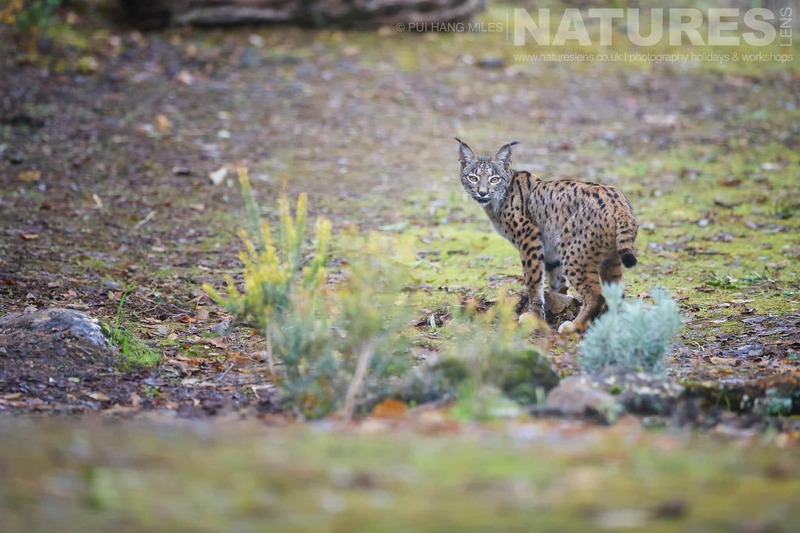 I arrived in Sierra Morena hoping to be lucky as the reports I had been receiving was that lynx had been spotted in the areas on a regular basis. 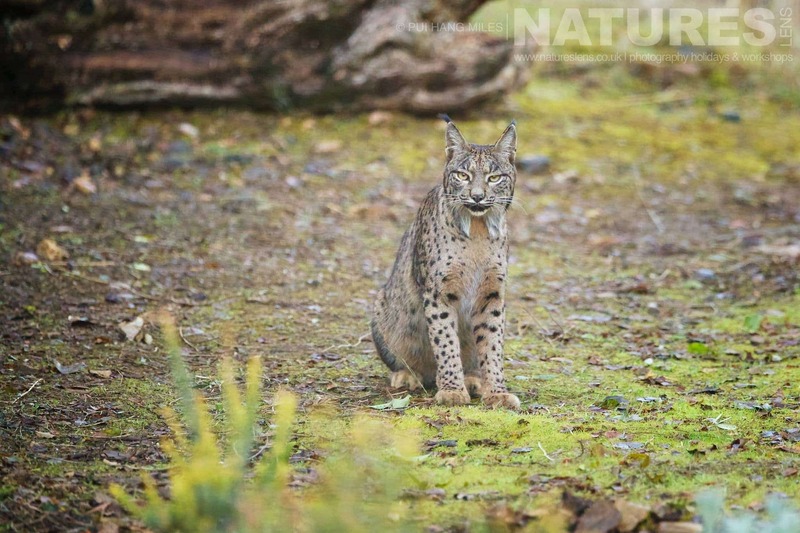 I arrived too late to go into the lynx hide so spent the afternoon chatting with my host about the species I hoped to photograph to see if we could turn this into a potential photography tour for the guests of NaturesLens – over the next few hours, the plan for the Wildcats, Eagles & Lynx of Spain was formed. 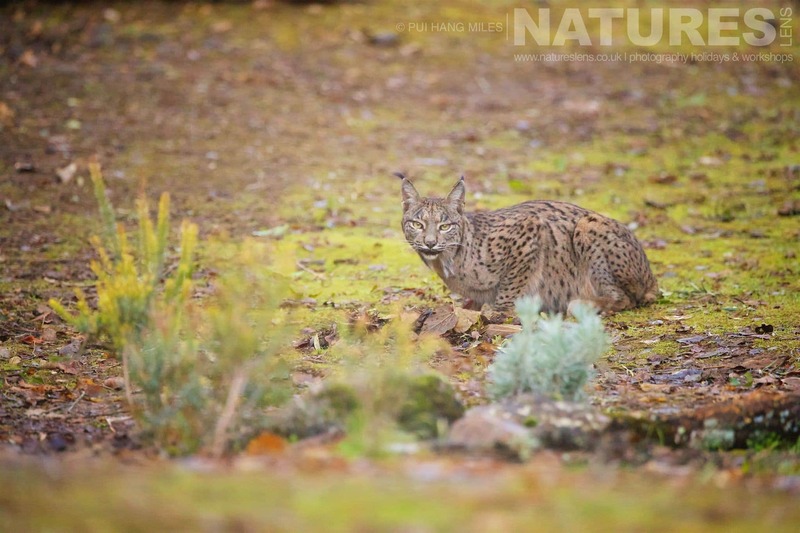 Our host has been working on his lynx project for some years & the area is now home to a more Iberian lynx than Doñana National Park with excellent, regular sightings. 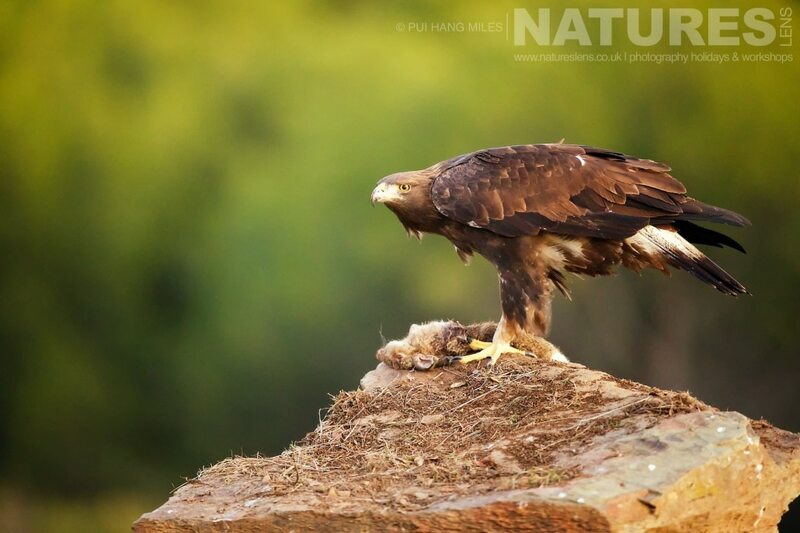 The following morning, I rose early to visit the Imperial Spanish Eagle hide. As soon as the sun rose, to my surprise, a Golden Eagle appeared on the large rock to my right. I watched this magnificent raptor feed for a short while, to allow it to settle before I started taking images. As I watched the Golden Eagle, two red foxes appeared to my left, closely followed by the arrival of an enormous number of Azure-winged magpies! For the next 30 minutes, I did not know where to point my camera. None of the species was bothered by the other although all kept a healthy distance from the golden eagle. When the Golden Eagle left, the red foxes & magpies remained, to be shortly joined by a couple of Egyptian mongoose. 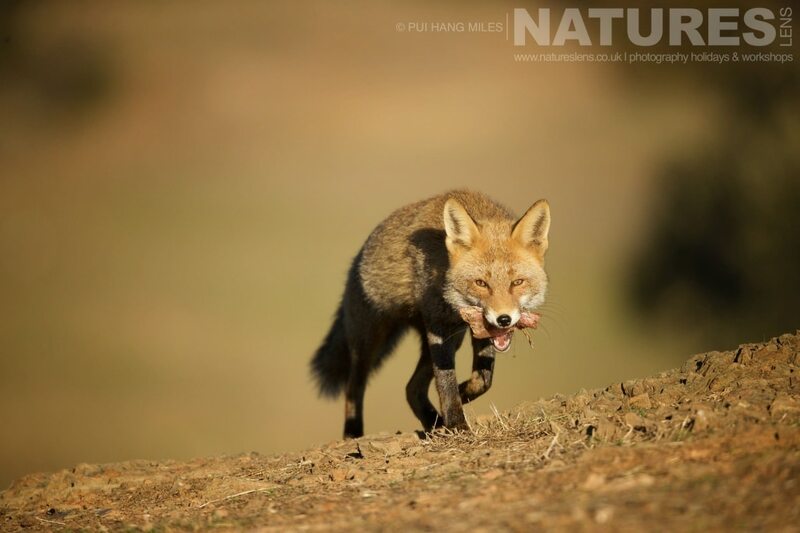 At one point, a third fox came so close to my hide that I was over lensed at 400mm on a full frame camera. The movement to my right caught my eye. Looking through my lens, I spotted the Imperial Eagle sitting in a tree in the distance. It took off & circled the area a couple of times but never came close enough for a decent shot. Ah well. It was still lovely to see. The afternoon couldn’t come soon enough for me. 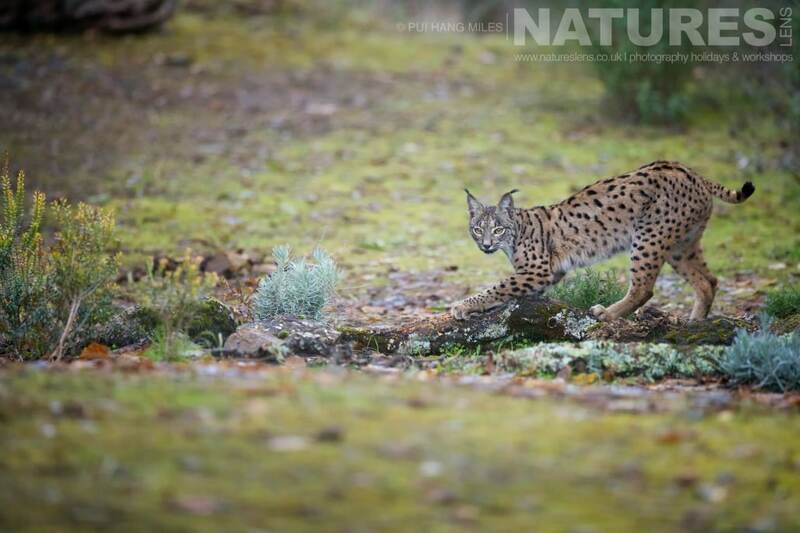 I was so excited at the prospect of seeing a wild Iberian lynx. Sadly, my first afternoon drew a blank for the cat, but I did get visits from a hoopoe & a black redstart. 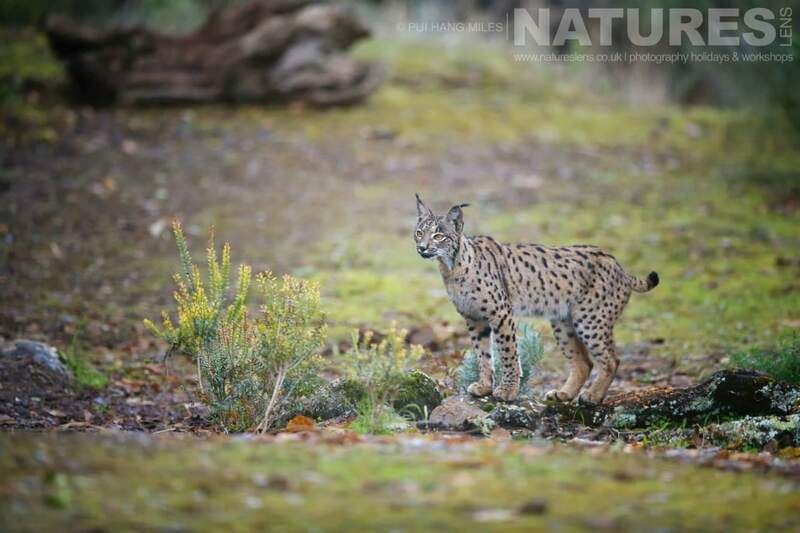 When we checked the camera traps that evening, it showed that the lynx had, unusually, visited the site in the morning. The second afternoon was much better. Within 20 minutes of getting settled, one of the stars of the show, a male Iberian lynx appeared! He remained in the area for a good 40 minutes before wandering off. An hour later, we were visited by a young female Iberian lynx. She too remained in the area for a good 30-40 minutes before something spooked her & she left. What an incredible afternoon! 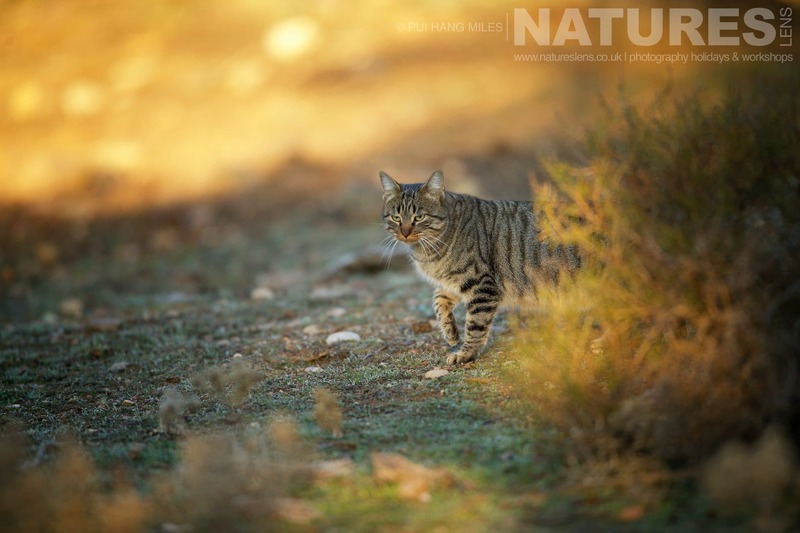 On my final morning, I was able to tick off another species of cat from my bucket list – the very rare, European wildcat. 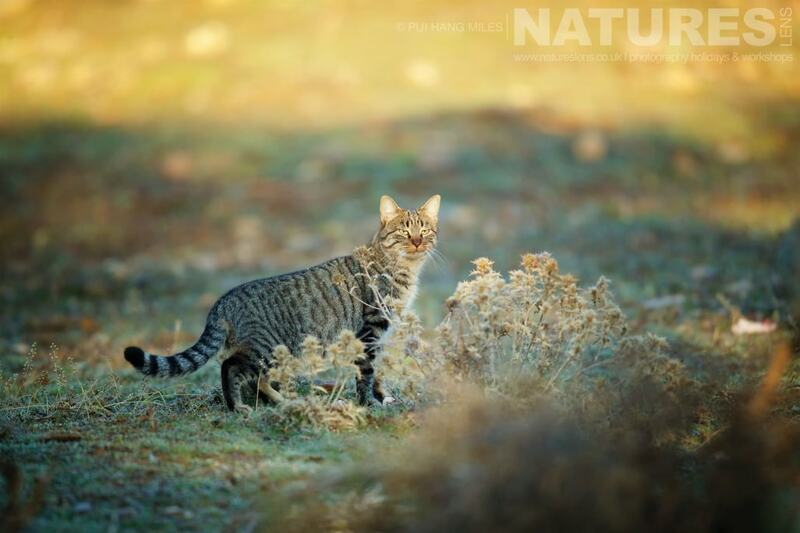 At first glance, one could be forgiven for thinking that this was just a domestic cat. However, there are apparent identifiers that they are not. 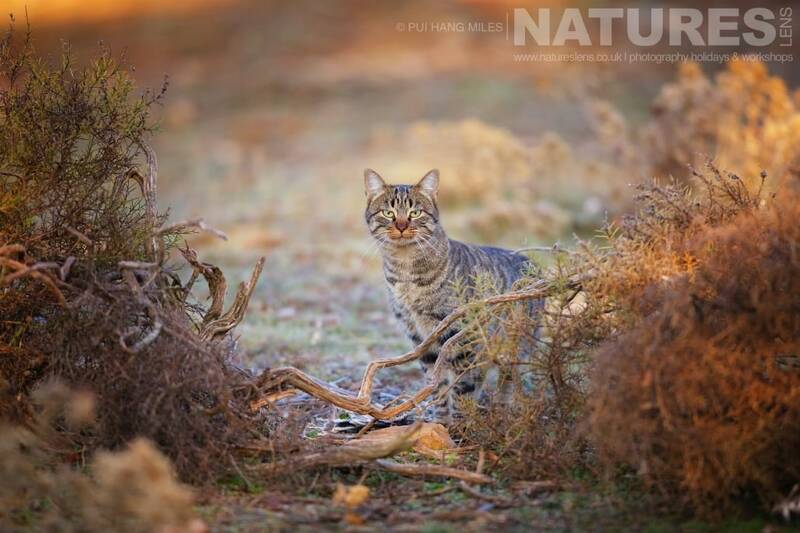 For starters, the European wildcat is much larger & stouter than the domestic cat. Its non-tapering tail is very thick with big bold, distinct rings around it. It has striped fur & a dark dorsal band. 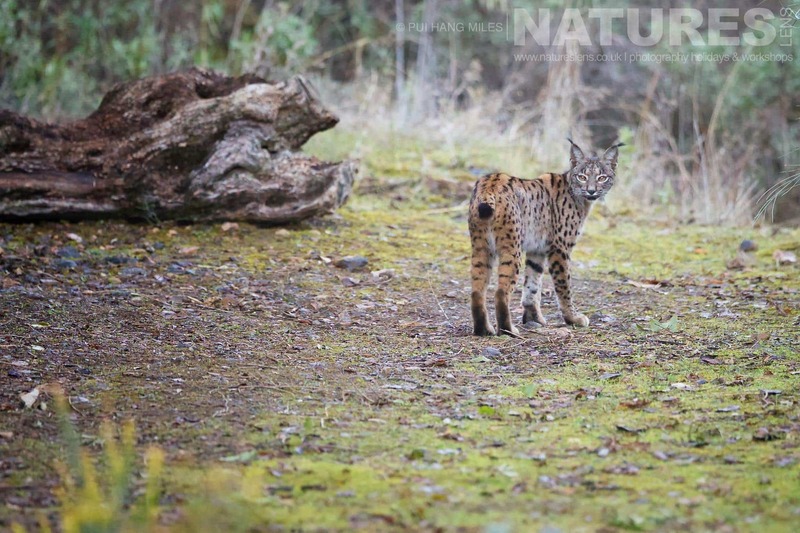 If you look at their faces, the Wildcats have brown hair around the mouth & you will see there are no white flashes on their chest. The most significant population of these secretive species can be found in Spain & Portugal, but their survival is threatened by loss of habitat, interbreeding with feral cats & being shot by people mistaking them for feral cats. I spent a fantastic hour with this young female as she ate, groomed & climbed perches. In fact, she stayed so long I did wonder whether I would be able to leave in time to catch my flight home! My trip to Spain was brief but action-packed. The number of mammal species available was so much better than I had hoped for. It has been a long time in the making, but with everything finally working as we had expected, David & I now have everything we need to launch our newest, & extraordinary photography trip. 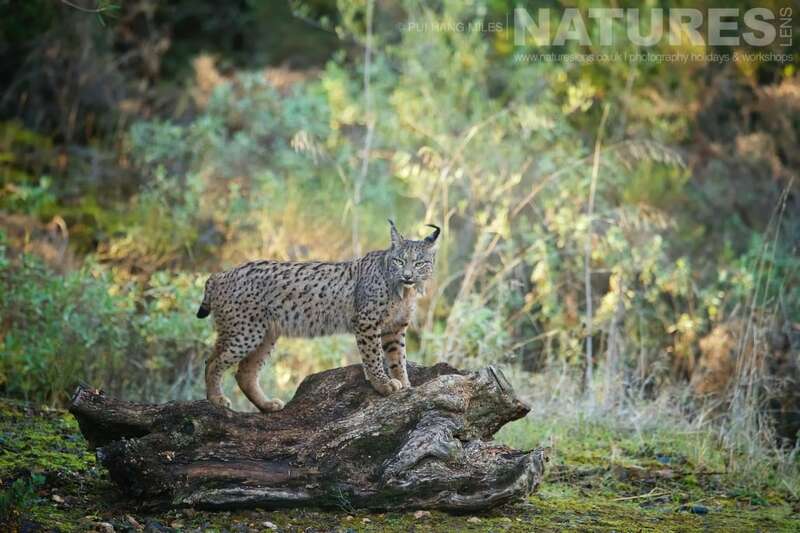 Wildcats, Eagles & the Iberian Lynx of Spain is a photography holiday of 4 nights duration, which costs £1499 & takes place in Adamuz in Spain, between the dates of 8th – 12th December 2018. It is ideal for photographing Iberian lynx, Egyptian mongoose, European wildcat, golden eagle, imperial eagle, red fox & more. 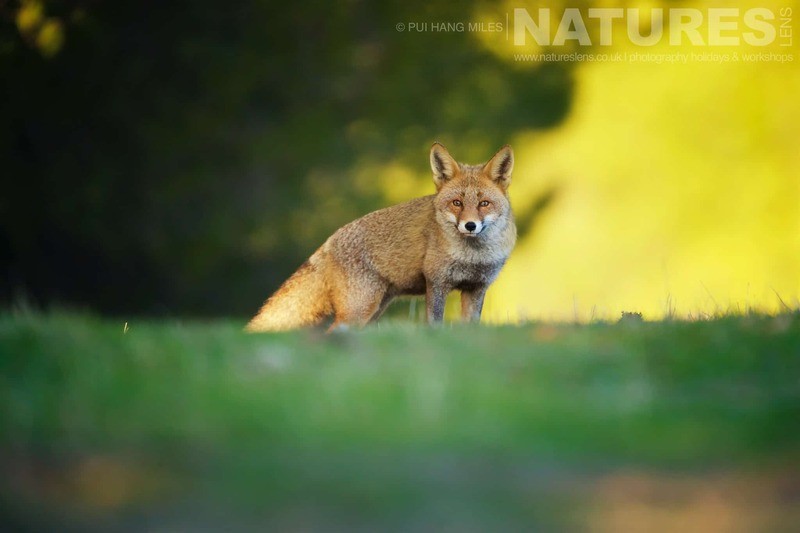 This photography holiday is led by Pui Hang Miles for NaturesLens. The photography holiday is offered on a full board, non-shared basis. Group size for this photography holiday is a minimum of 3 participants & a maximum of 4, plus Pui Hang. We consider this to be an event of a comfortable level of exertion, if you have any questions about your suitability for this event, please contact us before making a booking enquiry. The photography holiday starts & ends at Malaga Airport. Transfers between Malaga Airport & Adamuz are included in the cost of this photography holiday. 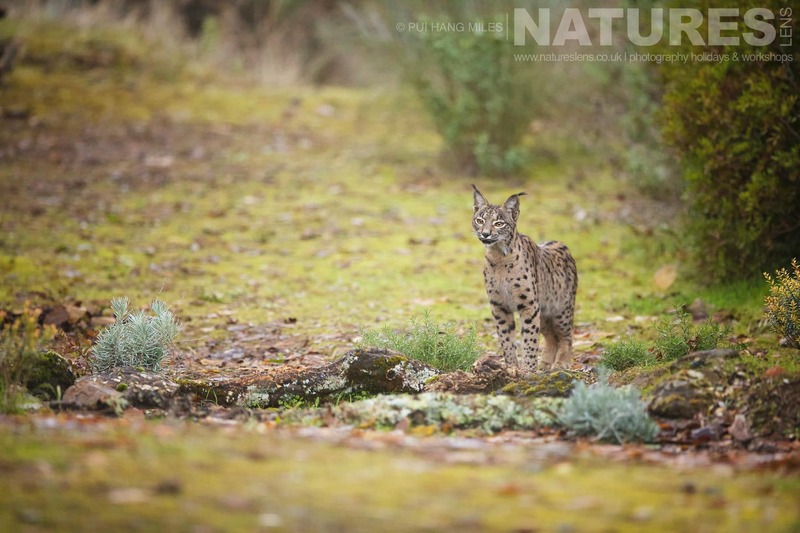 This entry was posted in galleries, worldwide tours and tagged egyptian mongoose, european wildcat, golden eagle, iberia, Iberian lynx, ibex, imperial eagle, red fox, spain, winter, wolf. 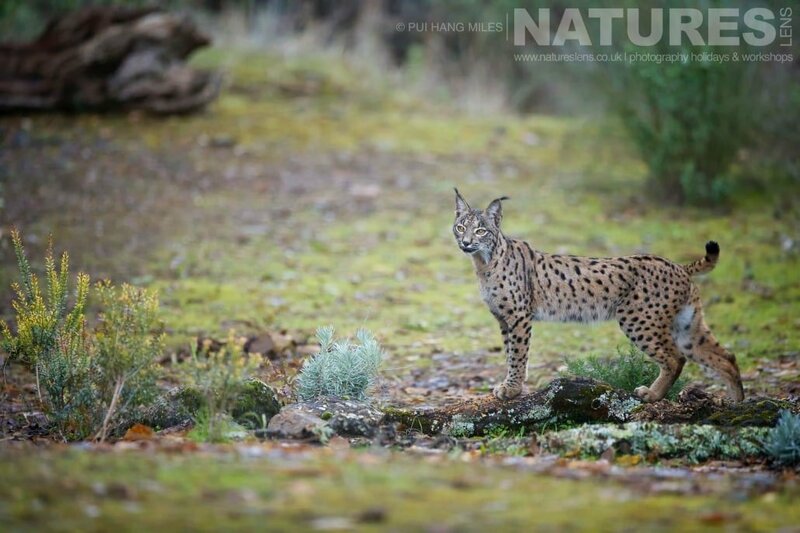 Whatever your query regarding our photography holiday, Some time spent with the Wildcats, Eagles & Lynx of Spain, please fill out your details below & we will get back to you.